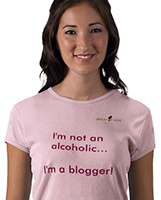 I started writing this blog immediately after I decided I was going to make some wine of my own. That was back in January 2009. That summer, I participated in a social media contest of sorts which garnered some exposure to other wineries in Sonoma County, California. Soon after, I accepted a social media job in California’s wine country. Now that my garage is full of unused winemaking equipment, there didn’t seem to be much point in writing about winemaking on my own blog when I was waist-deep in the winemaking process at the wineries I work with. Bricks of Wine is now more encompassing in its topics and I now write about my experiences—the wines I taste, the wineries and places I visit and memorable food I eat, along with the occasional recipe. Of course, I also write about my experiences in social media and how I’m helping wineries successfully integrate it into their overall marketing strategy. Unfortunately, I write for three other blogs and photograph and produce video for them as well. That leaves me very little time to actually create new content for my own site. What’s that saying about the cobbler’s children? Yeah… So stay tuned; there’s more to come, eventually. Unlike some blogs who hire a graphic designer and subsequently win awards for the design (I won’t name the blog, but it is a popular one), my blog is 100% my creation. I use some templates from WordPress, but I’ve customized them for my site. It’s not the greatest, and I really wish I had time to redesign it, but at least I can say I created all the graphics, logos and stylesheets and I take all the video and photos used on this site. If I use someone else’s work (or design), I will be sure to attribute them. I consider myself a Renaissance man. I believe that every person should be fairly self-sufficient, use the talents they possess and gain knowledge to improve one’s self. I believe that every guy should be able to create a tasteful web site, sail a yacht, save a life, build a cabinet, bake a fruit pie from scratch, ski an expert run, catch a fish, frame a house, cook a gourmet meal, dive a blue hole, perform CPR, understand a wine label, climb a mountain, make a door, seduce a woman, shoot the rapids, handle a gun, ride a horse, write a SQL query, hem his pants, ride a century, grow his own food, speak a foreign language, pitch a tent, bake a loaf of bread, install a water heater, paint a masterpiece, rig a sailboat, change a diaper, feed the hungry, take a life, ask forgiveness, and live to tell about it—specialization is for insects. Not including drinking Boone’s Farm in high school, I’ve been tasting and drinking wine for the last 30 years. This doesn’t make me an expert or a wine critic and I don’t claim to be one. However, I do have an opinion and this blog is a collection of my opinions. Over the years I’ve had the opportunity to taste thousands of different wines from all around the world and have established friendships with many winemakers, sommeliers, and other influential people in the wine industry. I live in the Seattle area with my wife, Sheri, and our toy poodle, Bolo. If you’d like to know more about me or need headshots, please check out my press kit page. If you need to contact me, check out my Contact Info. Even after prohibition was repealed, many of the laws from that time in history remain on the books today. Archaic for a modern era, they still limit alcohol production, interstate transport, and provide a source of tax revenue. 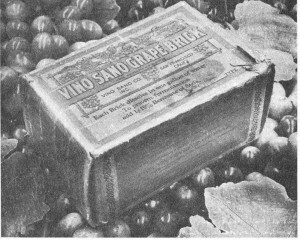 Bricks of Wine seemed to be an appropriate title for a blog about winemaking and wine in general. I’m not being paid by anyone to write this blog. I don’t make ANY money on this blog. I put ads on the site at one time, but the legal liability of having those ads wasn’t worth the pittance that they paid. I pay for my domain names, web hosting and internet costs out of my own pocket. I write because I enjoy it, love wine and want to share my passion with others. Despite what Robert Parker and others would have you believe, I try to be responsible in what I put out on the Internet. However, my taste in wine may not be the same as yours, so please consider that if you choose to purchase anything based on my opinions. What I write is my own opinion not influenced by my acquaintance with the winemakers or others in my circle of wine friends. Occasionally, I have received a bottle or two of wine for me to sample and write about. When I do write about them, I will let you know that I did not pay for the wine. I have yet to receive any free cases of wine, free wine junkets to France or Italy, or corporate sponsorship, but if I do, I’ll let you know and try not to let that influence my tasting notes. Chances are, if the wine is really bad and it’s made locally, I just won’t comment on it. Life’s too short to disparage bad wine. However, bad French Bordeaux is another story.